Is Negative Price To Earnings a Bad Sign for Investors? Price to earnings ratio is definitely one of the most frequently used valuation ratio used by the investors to evaluate a company. Although I do not use this ratio too often, however, every now and then I check the PE of companies and industries to try to look them from a different angle. Recently, I was going through the list of companies which are not making profits, in other words, losing money. 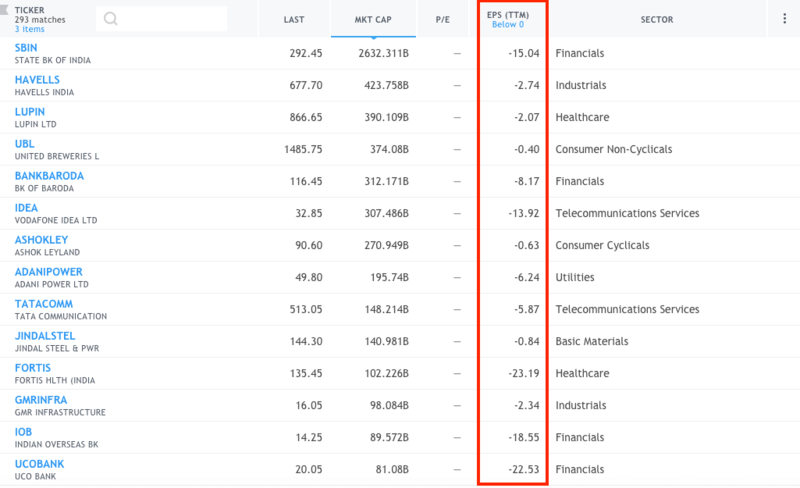 Therefore, I run a simple query on stock screener to find the list of companies with negative earnings per share for the trailing twelve months. And obviously, when the earning of a company is negative, their Price to earnings will also be negative. Seeing so many big names in the list of companies with negative PE, it is easy to conclude that there will be thousands of people investing in companies that are losing money. Therefore, in this post, I decided to discuss whether negative price to earnings of a company a bad sign for the investors. Let’s get started! 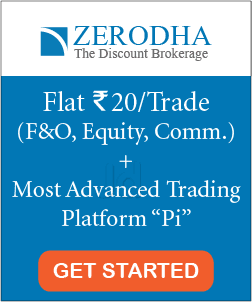 How Price to Earnings ratio is calculated? As the name suggests, Price to earnings ratio is calculated by dividing the current market price per share by its earning per share. 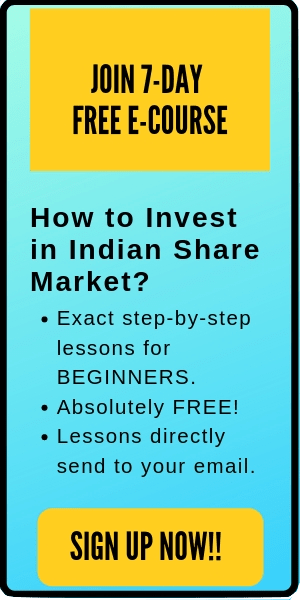 For example, if the share price of a company is Rs 100 and the annual earning per share is Rs 20, then the Price to earnings ratio will be equal to 100/20 i.e. 5. PE ratio of a company reflects how much people are willing to pay for that share compared to each Rs 1 in earnings. For example, for a company with a PE ratio, 5 means that the people are ready to pay a premium of 5 times for every Rs 1 of earnings. And obviously, the lower this premium, the better it is for the investors. PE ratio is frequently used by the investors to find if a stock is undervalued or overvalued. Usually, a company with a lower PE ratio is a better valued. For example, a company with PE of 8 is comparatively undervalued against a company with a PE of 12. Basically, the share price of a company cannot go negative. 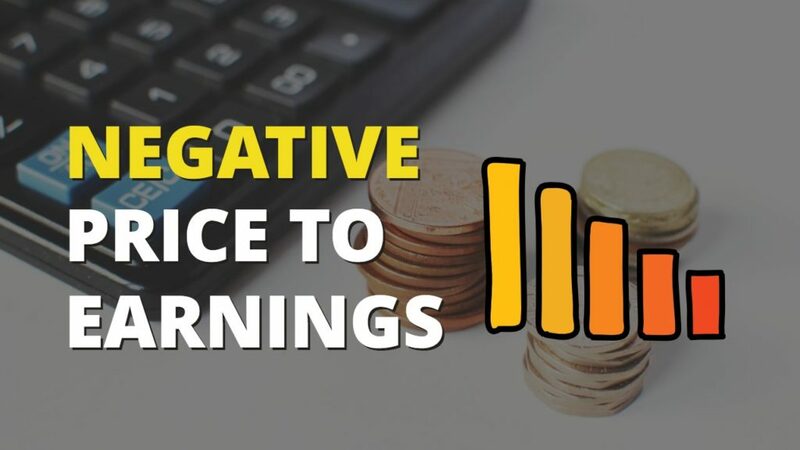 Therefore, if the price to earnings is negative, it means that the company has negative earnings. Although it is advisable to invest in companies with lower PE ratio, however, when this ratio becomes negative, it might not be favorable for the investors. A negative price to earnings means that the company is not making profits and hence, why do you wanna invest in companies who are losing money? As a thumb rule, avoid investing in companies with negative price to earnings. If you want to live by a single rule for PE, then this might work perfectly well for you. Moreover, a company with consistent negative PE means that it is not able to generate profits for a long period of time and therefore, it may fall into trouble while running its normal business operations and in the worst case, it may face the risk of bankruptcy. Quick note: Most financial websites do not show the negative price to earnings for a company. In general, they will use the word ‘Not applicable’ or ‘ — ’ for the companies with a negative price to earnings. When negative price to earnings might not be a bad sign. A few industries like pharmaceutical or technology may have negative earnings if they are extensively spending in their research and development. Although it may be unfavorable for them in the short run, however, if they are able to spend their money in the right direction, it may be a good expenditure for the long term. For example, if a pharmaceutical company is able to build a medicine for a rare disease and gets a patent for it, the company may generate a lot of profits through that research in the future. Similarly, if a technology company is able to create a disruption through its research (a few of such trending technologies right now are artificial intelligence, deep learning or blockchain), they might be able to create a competitive advantage and generate profits in long run. And therefore, many investors are willing to invest in such industries even when they are not making money. Note: Sometimes, a company may also have a negative PE because of the change in accounting norms or because of a few unexpected occurrences. In such scenario, you should not consider it as a bad sign and may wanna investigate further. How to correctly analyze negative PE ratio? While studying the price to earnings of a company, compare the PE with the competitors and historical performance. If the company’s PE is consistently falling for the last many years, it may be a warning sign. Further, if the PE of all the other competitors is positive and decently high, then the negative price to earnings for that company may be a caution sign. Further, comparing the price to earnings of the company with the industry average can also give you a rough idea regarding the situation of that company. In general, it is preferable for the investors to stay away from companies with a negative price to earnings. As an investor, you should find fundamentally strong companies to invest which are consistently making money. If a company is consistently reporting a negative PE for a longer duration of time, then you should be concerned about it. Anyways, in a few industries, have a look at the company’s expenditure on Research and development by peeking in their income statement. This can give you an idea if the company is working on any cutting edge research or simply losing money in their operations. Finally, never make your investment decision based on just one ratio. Price to earnings ratio is just a valuation tool. Apart from PE ratio, also look into other quantitative and qualitative aspects before making your choice. Your finding opens up my eyes, especially before any long term investment. What about if P/E is high enough. Thank you, Ratan. I never trust PE alone to make any investment decision. A high PE is generally not a good sign in terms of valuation. However, the definition of ‘high’ varies from industry to industry. Thanks for explaining the shares & share market in lay man’s language. Your communication was found to be very useful. What should be done with respect to companies which have been delisted from the Stock Exchange eg NEPC India Ltd Eq and those likely to be delisted due to their poor financial condition eg Birla Cotsyn (India) Ltd, K. S. Oils Ltd, Lanco Infra Tech Ltd, Supreme Tex Mart Ltd, Sel Manufacturing Co. Ltd. Their shares have gone much below their initial price value. Hi Harvinder. There’s nothing much that a retail investor can do when a company gets delisted from the exchange. There are a few brokers who deal with OTC stocks, but difficult to transact. Further, its always better to stay away from the stocks which are at the verge of delisting.